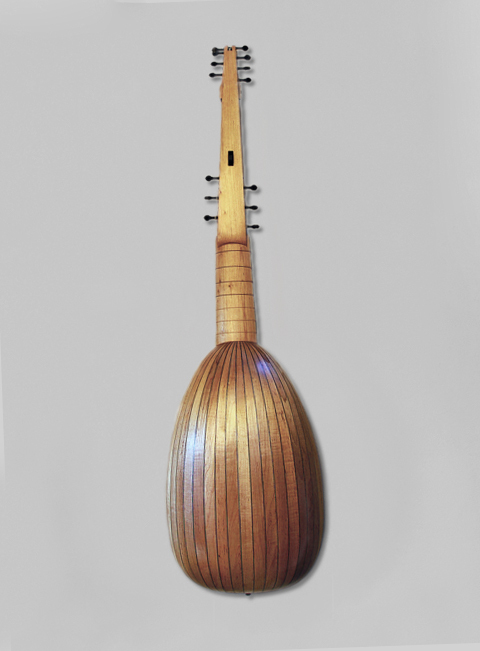 Theorbo with large, wide and shallow body, based on two surviving instruments by Magno Dieffopruchar and Buchenberg. Made with 21 ribs of maple, spruce soundboard, solid beech necks, or composite upper neck with 8 tied frets. String length of around 79-82 / 162 cm. 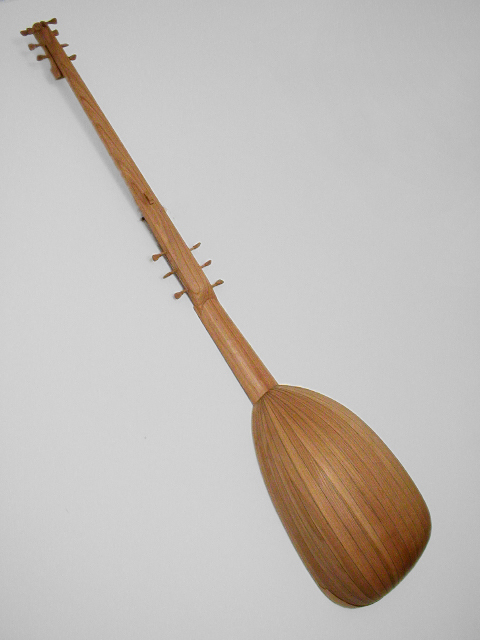 Or with shorter upper neck for ease of transport of 140 cm (picture). Single or triple rose. 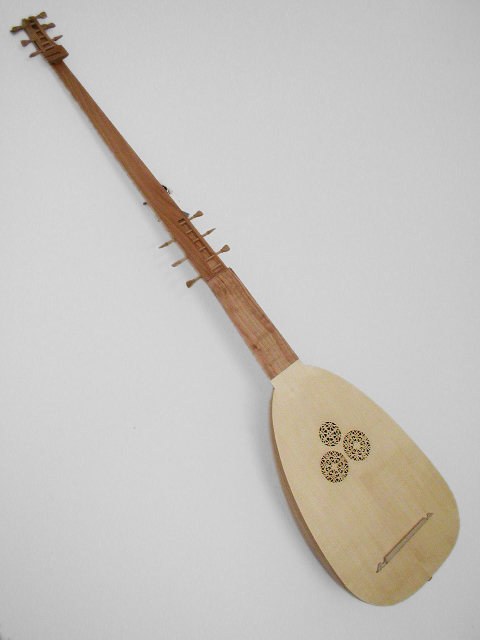 14 courses with 6 or 7 fretted strings.